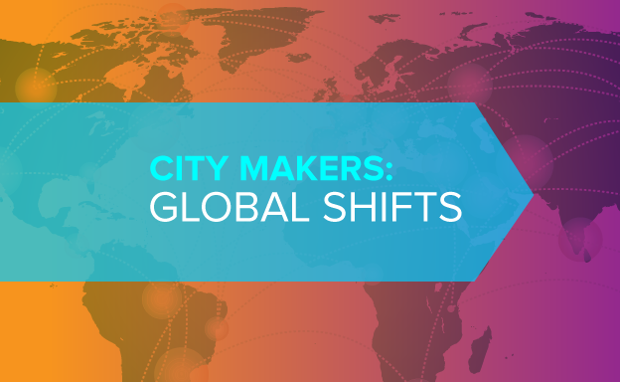 Our newest series on the key forces transforming urban life in the 21st century. Last fall, CityLab debuted a special series chronicling the people and ideas reshaping cities around the world. It was called City Makers: Global Stories, and in 70-odd articles, it introduced readers to a host of urban change-makers—from a “sound historian” in Beijing to the creators of pollution-eating manmade islands to the planner overhauling L.A.’s zoning code—and surveyed fresh approaches to stubborn urban problems. Young City, Old City. If you read journalism focused on cities, you’re likely to see a lot of stories about Millennials and Baby Boomers. But what about the people on the farthest sides of that cohort: children and seniors? We’re eager to present new ideas for making cities age-inclusive and improving the health of children and seniors in urban environments. Water World. Nothing will shape the city of tomorrow, figuratively and literally, so much as water. Cities have too much or too little of it; conserve it or buffer themselves from its destructive power; struggle to provide a safe supply of it to everyone. We want to capture the diverse ways that water interacts with global cities in the 21st century. On the Fringes. As the world population becomes increasingly urban, most of that growth is taking place outside of city centers—urbanization is, to a great extent, suburbanization. We’ll bring you the latest stories coming out of suburbs, favelas, edge cities, and borderlands. What is life like now on the urban outskirts, and what are the key issues and battles that its residents face? These themes represent forces that are changing urban areas dramatically all over the world, through demographics, settlement patterns, and (in the case of water) real physical impacts like flooding and drought. These forces often intersect, of course, and our ears are especially attuned to stories about what happens when they do. Enjoy the series, and thanks for reading along.